Only 5.6% of Mali’s land mass is classified as arable land, meaning capable of producing crops, or to be plowed or tilled. Sheep and goats do well on marginal, rocky and non-arable land. They leave minimal impact on their environment while providing a reliable and healthy source of protein. Sheep and goats are unique when compared to other livestock. They do not thrive in industrial farm confinement systems or reproduce with the frequency or volume of hogs or chickens. In comparison to cattle the labor is more intense per meat yield. Yet, in low resource environments sheep and goats do remarkably well. They are able to utilize moisture from morning dew and harvest their own maintenance feed from prickly brush that would starve a cow. Around the world, and especially in drought areas, sheep and goats thrive in areas where cattle will perish. Sheep and goats are critical in low-resource environments for supplying essential protein and nutrients not available from a maize or rice based diet. 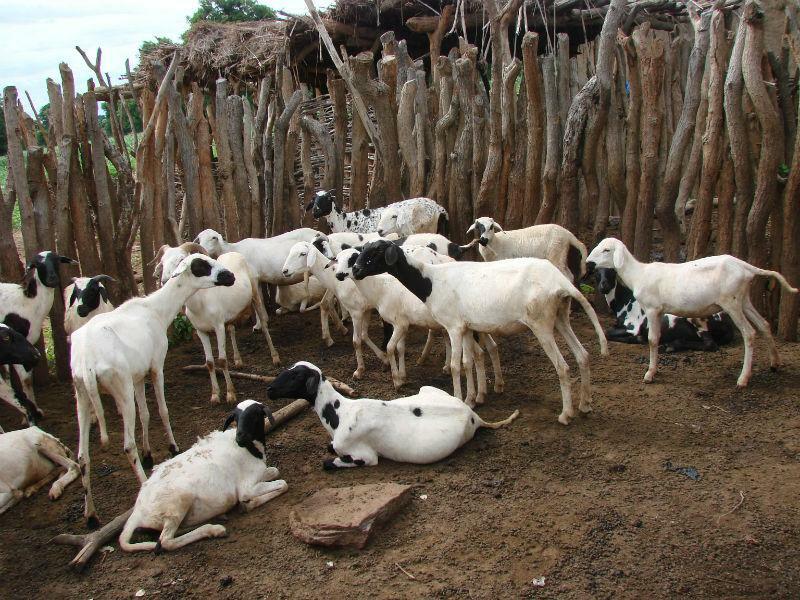 Increasing the productivity and quality of Mali’s small ruminant breeds will provide a predictable source of increased income for low resource farmers and a high quality source of protein and fat to supplement the family’s basic diet of rice or maize products. Small and consistent changes in sheep and goat breeding can increase their production dramatically without the industrial farm approach that is proven to be so harmful to the environment. This project’s volunteers work with families on nutritional concerns to improve the daily diet of children and youth through healthy food and protein choices.